This Magazine Rack Is A Best-Selling Countertop Rack! 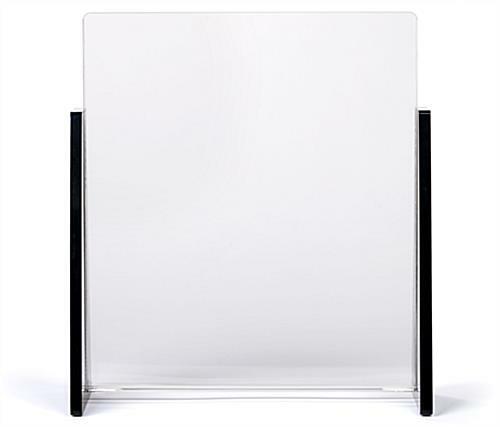 The Rack Is Designed With Sturdy & Durable Acrylic! See-thorugh acrylic allows unobstructed viewing of materials! Wide literature holder base and rubber footings prevent tipping and slipping! Fits standards 8 ½" x 11" paper materials! This magazine rack holds up to ½" of materials. 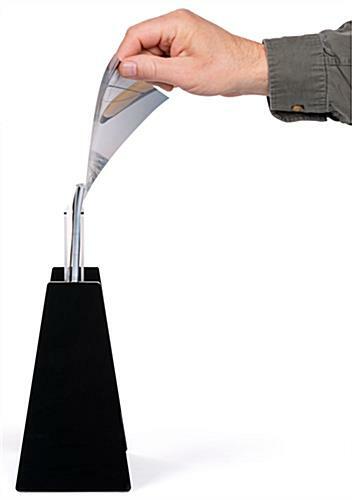 It is ideal for simply displaying information or literature, although it can hold a good amount of materials as well. 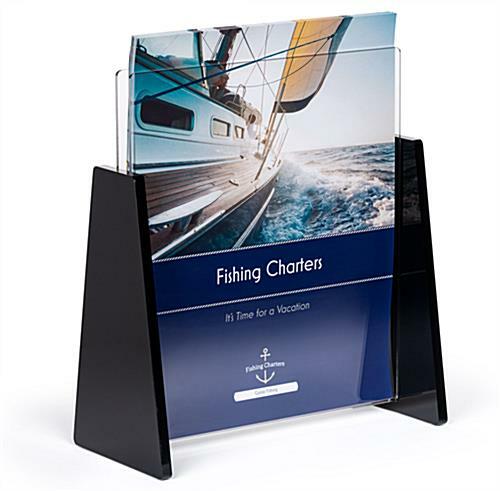 The literature display is the ideal magazine rack for lobbies or offices, medical buildings, or small retailers. These locations often use the countertop acrylic display to hold thinner publications such as informational health sheets or business fact sheets. If your location is looking for a magazine rack to fit thicker publications such as nationwide monthly magazines, this display would be ideal for displaying such publications on a countertop with a pile stacked in front of or below the display. 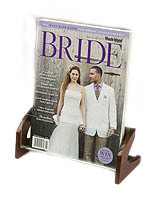 This magazine rack, including the literature holder and base, stands a little over 10" high. Crafted with sturdy acrylic and non-slip rubber footings, this is the perfect countertop publication holder for busy or high traffic areas. The wide base also prevents this literature display, magazine rack from tipping over. 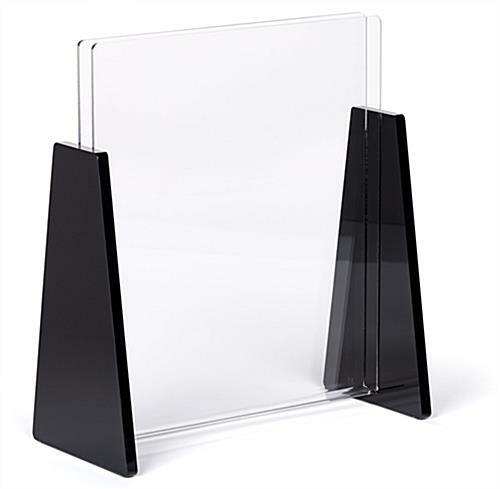 Tall acrylic holders on the front and back of the display protect your information or publications from wear, tear, spills, and other types of damage. This magazine rack, such as the rest of our acrylic display, and literature holder line is a high quality, upscale countertop dipslay, offered at an economic price point. 9.4" x 10.3" x 4.3"
8.8" x 10.0" x 0.5"